To begin todays Prague adventures, we headed down to the Old Town Square. It is full of architecturally beautiful and historical buildings, and is always a must see whilst here in this marvellous city. 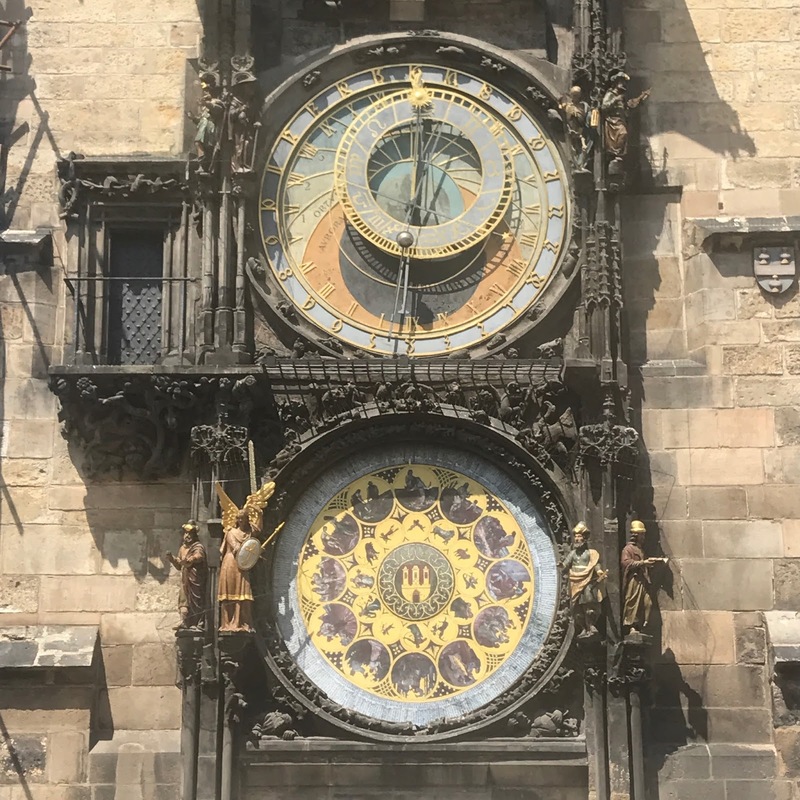 Perhaps the main attraction of this part of Prague is the astronomical clock, where we watched crowds of literally two or three hundred people gather at 2pm to hear and see the bells ring. It has been in place since the 15th century and is now the oldest astronomical clock still working. It doesn’t tell the time, but instead where the sun and the moon are positioned. Deciding to take a more relaxed approach to the afternoon to most that we have, we stayed in the area for a while, enjoying the beer and the sun and watching some impromptu street performances going on in the square. 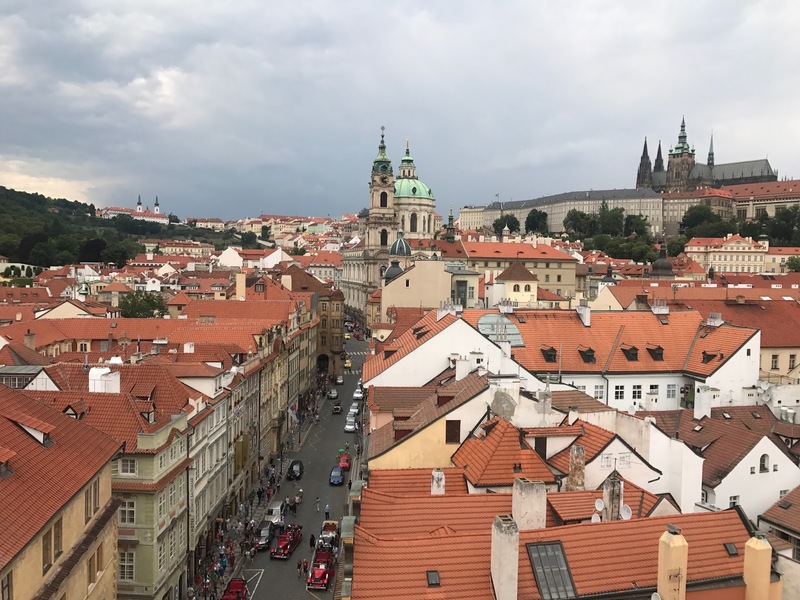 Having crossed the Charles Bridge yesterday, we decided to go again as we felt with it raining pretty heavily we didn’t get to appreciate the full beauty of it. As we neared it, we noticed two people at the top of one of the arches at the end of the bridge. Clearly we weren’t the only ones who didn’t realise you could go up there, as when we got to the top, there were only a handful of other people there. 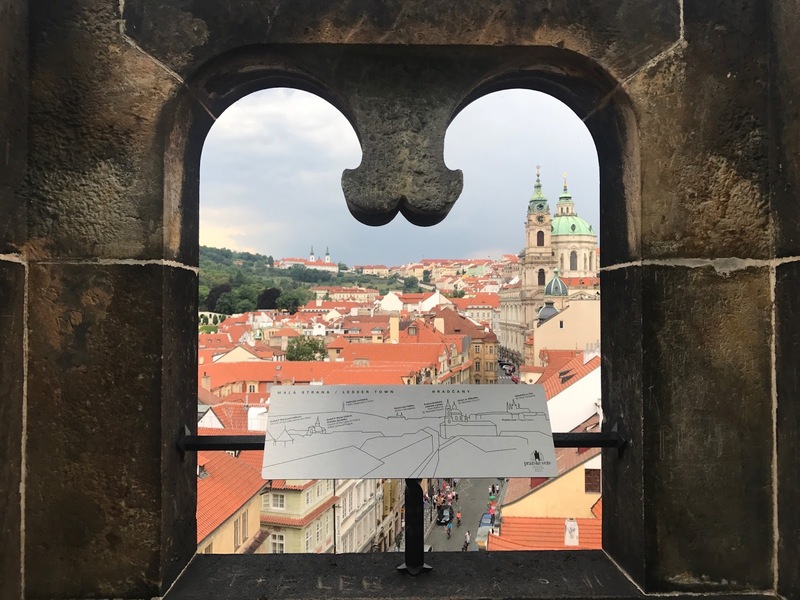 For the equivalent of around £2, we got fantastic views of the bridge, the rest of the city, and Prague Castle in the background. We were crossing the Charles Bridge to reach the John Lennon Wall, which is on the side of Prague Castle. 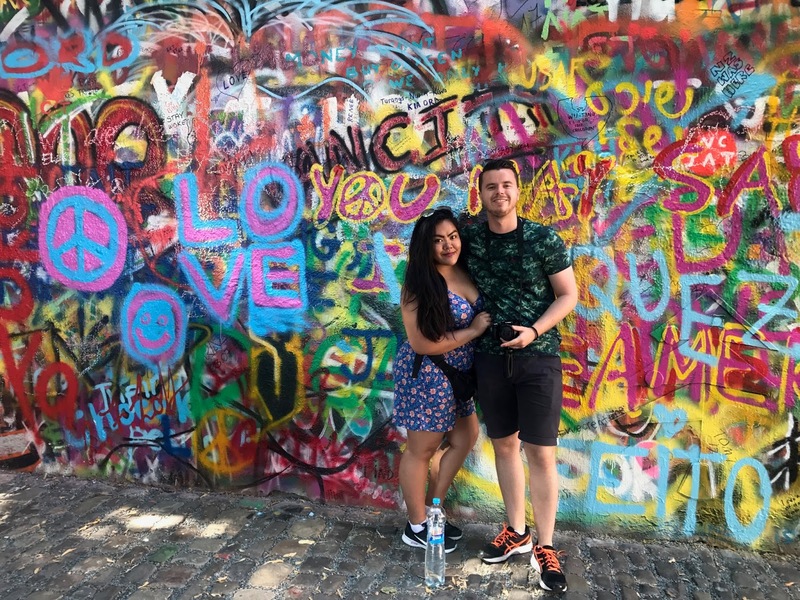 We’re not going to lie, even when we were walking towards it, we didn’t really know why there was a John Lennon Wall here in Prague. We later found out that during the hippy movement in the 70’s, this was a place where they would all gather and be together as one. Of course being massive fans of The Beatles during this era, when Lennon was assassinated in 1980, they decorated the wall with art, quotes and symbols of remembrance to their icon. 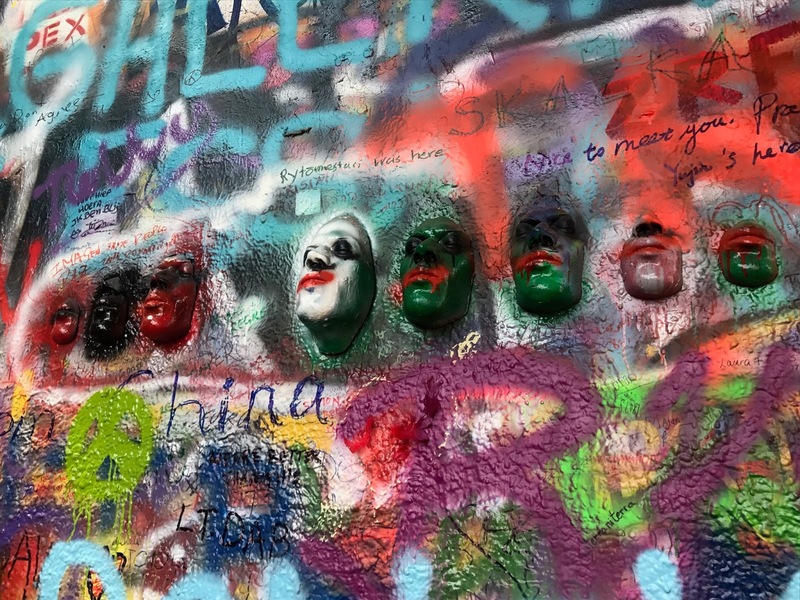 It slowly became known as the John Lennon wall, despite the man never being here himself. To this day, people come to remember the great musician, adding to the wall themselves. The day doesn’t end here, we spent the evening on a Czech Beer and Tapas Tour, so make sure to check that out when it goes live later on today!